There are better states for poker players than Wisconsin. That's the easiest way to put it. They don't appear to like online gambling or home poker games, which only leaves a couple of casinos throughout the state to play poker in. So many residents of Wisconsin will be forced to travel, or, play (illegally) online at one of the many American poker sites. Read on to see exactly what your options are. Is Online Poker Legal in Wisconsin? Wisconsin doesn't have any laws regarding internet or online gambling. However, their general gambling statute appears to make online poker illegal. However, their laws do mention commercial online gaming. The details for that are below. What About Home Poker Games? Wisconsin's laws say nothing about social gambling or home poker games. So as a default you could refer to their gambling statute referenced above. The host of the social game could also face charges that fall under the gambling place statute. (a) A gambling place is any building or tent, any vehicle (whether self-propelled or not) or any room within any of them, one of whose principal uses is any of the following: making and settling bets; receiving, holding, recording or forwarding bets or offers to bet; conducting lotteries; or playing gambling machines. (b) Evidence that the place has a general reputation as a gambling place or that, at or about the time in question, it was frequently visited by persons known to be professional gamblers or known as frequenters of gambling places is admissible on the issue of whether it is a gambling place. Of course, these statutes mention the gambling place as being known or frequently used for gambling. So that could potentially be a loophole. However, since no other social gaming laws exist, I'm not sure how big a loophole that really is. Do Casinos in Wisconsin Offer Poker? You can play poker (or any other table game) at a couple of the (6) Ho-Chunk Casinos. A handful of the remaining 16 casinos in the state spread poker games, too. We receive a lot of questions about the gambling laws in Wisconsin. You can read those questions and our responses below. Will online poker be regulated in Wisconsin? Wisconsin already has regulations in place for operating an online casino within the state. It's not legal. (6) WIRE COMMUNICATION FACILITY . "Wire communication facility" means any and all instrumentalities, personnel and services, and among other things the receipt, forwarding or delivery of communications used or useful in the transmission of writings, signs, pictures and sounds of all kinds by means of wire, cable, microwave or other like connection between the points of origin and reception of such transmission. (g) For gain, uses a wire communication facility for the transmission or receipt of information assisting in the placing of a bet or offer to bet on any sporting event or contest, or for the transmission of a wire communication which entitles the recipient to receive money or credit as a result of a bet or offer to bet. 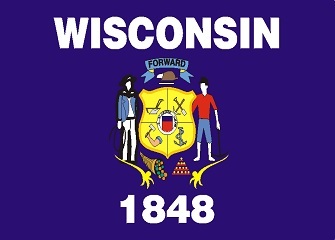 If we find any news updates about the gambling laws and situations in Wisconsin, we'll post them here. 5/15 - Wisconsin Attorney General Files Suit to Shut Down Poker Room - One of the Ho-Chunk casinos was charged with running an electronic poker game, arguing that it's a game of skill against other players and not the house. Is there an online poker room that accepts players from Wisconsin? Yes, residents of Wisconsin will be able to sign-up to Bovada, Sportsbetting.ag and Sportsbetting Poker, or any other poker site that accepts US players. What other forms of regulated gambling is offered in Wisconsin? Wisconsin offers a state lottery and para-mutual racing. When it comes to charitable gambling, Wisconsin permits qualified organizations to conduct bingo and raffles under certain conditions. The Wisconsin Department of Administration oversees such gambling. Where can I read more about Wisconsin poker laws? Here are some interesting facts about gambling and Wisconsin. All the casinos in the state are owned by Native American tribes. While allowed to offer poker games, only a couple of the casinos do. Easily the most well-known poker player from Wisconsin, and arguably ever to walk the earth, is Phil Hellmuth. You'll hear him referred to as the 'poker brat' because of his temper tantrums at the table. Despite his crybaby ways, he's won 13 WSOP bracelets to date. Any sales promotion that gave away something of value via chance (such as Monopoly at McDonald's or any drawing) was constitutionally prohibited in Wisconsin prior to 1965. Pinball machines that award replays were illegal in Wisconsin until 1979.